Hooray! This project was successfully funded on November 25, 2013. Our Vanilla Eggnog and Pumpkin Spice Lattes on the shelves at Smucker Farms. Your loan will help expand this line of delicious lattes! Mix GROWL with Milk / Soy / Water or whatever you like to make a quick and flavor packed iced coffee - the possibilities are endless. Our Direct Trade beans are locally roasted and specifically selected for our unique brewing process. Each batch of GROWL is made by hand and perfected for your enjoyment. It takes us hours to make GROWL, but only seconds for you to enjoy it at home or on the road. 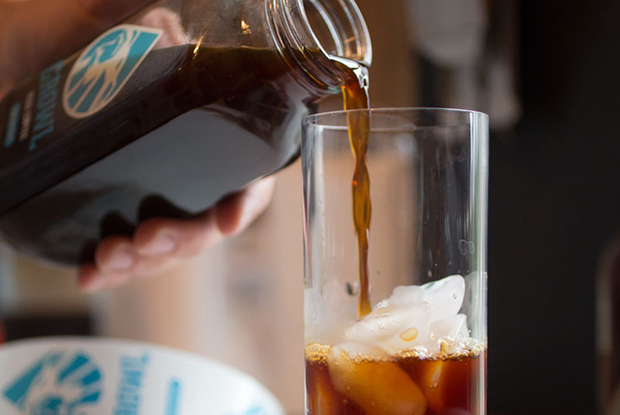 Our signature cold-brew concentrate – one bottle is good for four cups of the best iced coffee you've had! 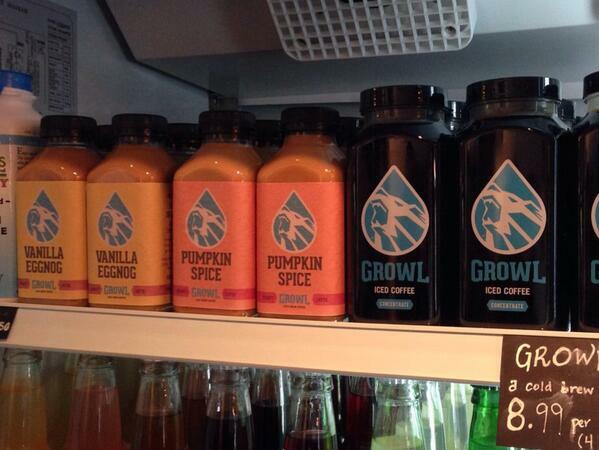 The newest addition to the GROWL family: Ready-to-Drink Pumpkin Spice latte. We look forward to making more seasonal flavors! 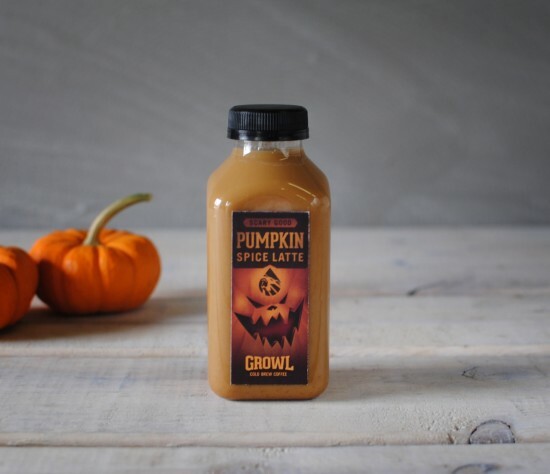 It's your favorite GROWL Cold Brew Coffee– combined with milk, spices, and seasonal flavors! 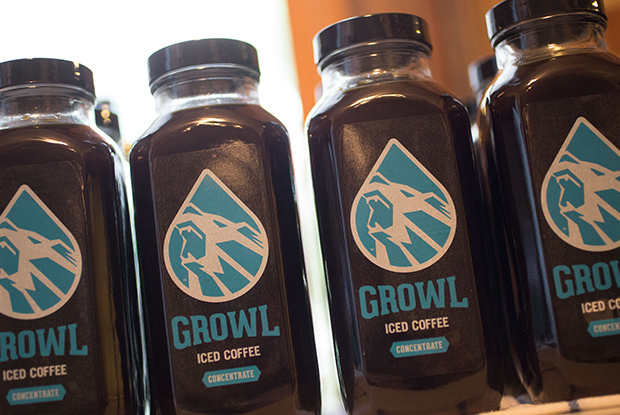 We are GROWL and we only make one thing: the best iced coffee you've ever had. 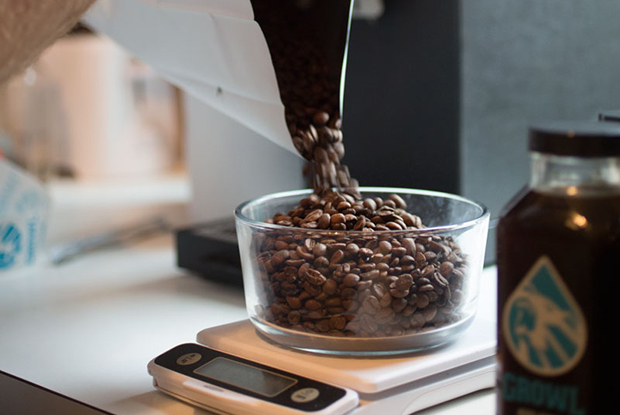 For the past year, we've been making and selling our signature cold-brewed coffee concentrate at retailers and markets around the D.C. area. Now have an exciting new product that we want you to be a part of: Ready-to Drink GROWL Premium Iced Lattes. We launched our very first latte product, Pumpkin Spice earlier this month to rave reviews. We now want to take that concept and hit a home run with your help. We want to create several new Ready-to-Drink GROWL Lattes– one will be a year-round classic version with nothing but the best cold-brew coffee and the most wholesome milk. The rest will be delicious variations that use local ingredients and give your GROWL a seasonal kick. Once funded, we'll have a launch party to celebrate with our funders– to learn more read about the Community Rewards on the right! 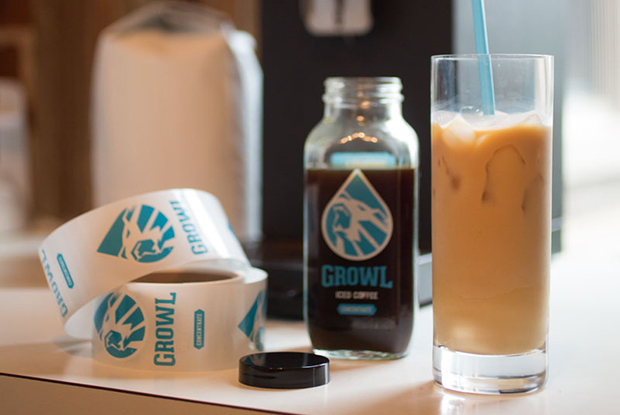 GROWL started with a simple concept: make the best damn iced coffee you've ever had. 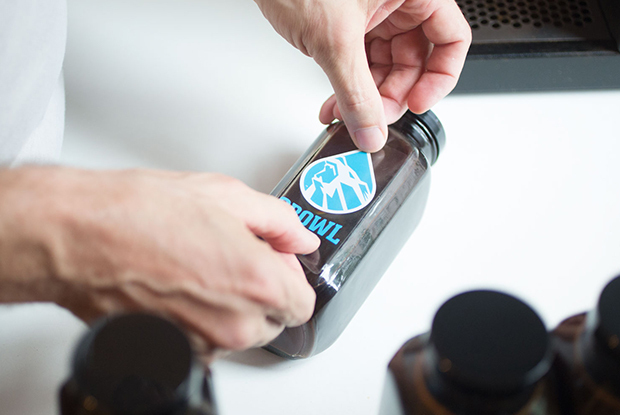 For the past year, we've been producing GROWL cold-brew concentrate and selling it to retailers in the area including Salt & Sundry, Smucker Farms, Relay Foods, Washington's Green Grocer and more. Through that time we perfected our cold brew coffee + production and decided to tackle a new product: Ready-to-Drink Lattes. This is no small endeavor and we understand the challenge put forth before us. But we also know that our customers want and demand something better than the alternatives. Thats why we use only premium direct trade coffee beans from award-winning Ceremony Roasters in Annapolis, MD and continue to source our milk from great local wholesalers who are committed to creating quality products. 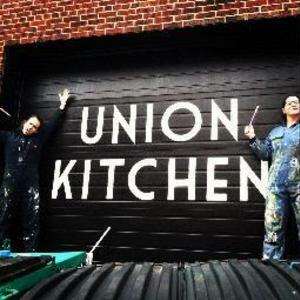 We've also recently moved into Union Kitchen, D.C.'s premier culinary incubator and shared kitchen, and we hope to have some exciting collaborations for our customers and fans in the coming months– be sure to check out all the projects of the current and past members on their Clovest community page. This loan is expected to be repaid in full on or before Nov 25, 2015. Cold Brew coffee is a great way to enjoy your morning, afternoon or evening coffee. The cold brewing proc... read more. We want our fans to have something to call their own. As our way of saying thanks, we’re going to host a taste-test and launch party where we’ll celebrate the arrival of our new blends and ask for your opinion on our next flavor. Once we’ve gotten your feedback, we’ll have something totally brand new and special for DC coffee drinkers! Just be careful, our brew packs a bit of a punch.